Jasmine Graham is a senior in bioengineering and is working in the Human Photonics Lab, where she is developing an optical pH measurement tool that analyzes bacterial biofilms in our mouths for early cavity detection and prevention. 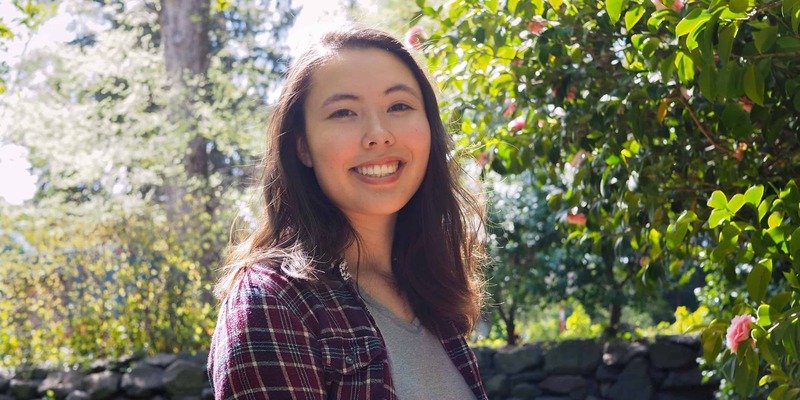 She is part of the Husky Leadership Initiative, co-runs the BioE Study Center and after graduation, is planning to pursue a graduate program at UC Berkeley. “I originally wanted to be a doctor, but I realized I wanted to have a more direct impact on healthcare. I think that’s the potential of bioengineering for me, to have a hand in creating the next generation of products and methods that will change people’s lives and change their health. The BioE core classes had a big impact on me, especially when I first got in since it was my first impression of the department. I was intellectually challenged by the material and I thought, “Wow, these are literally the hardest classes I’ve ever had. Am I gonna survive?” Really pushing myself that very first quarter, I realized that this was finally what I was in college for — to learn all these things and not know if I can make it, but still try my best. I also really like how college provides an environment of intellectual discussion, which has encouraged me to come up with new ideas and discuss why something would work. It was probably in the middle of that first quarter, when we were in those big group study sessions during office hours where pretty much all of our cohort was there, that I found that I was interested in this kind of material and the impact it could have on society. A big part of my life right now is research, which is why I want to go to grad school. I want to continue to do more research even after I graduate.